We need more Europe rather than less Europe: we need more common European solutions than national solutions. 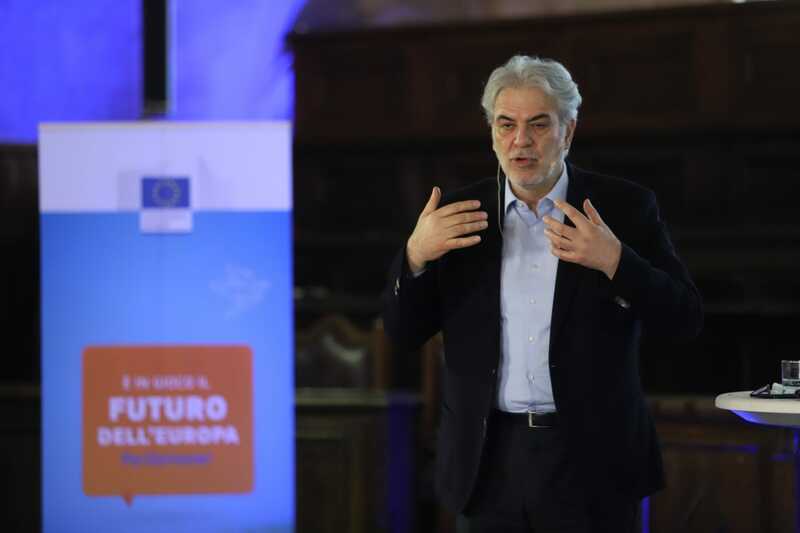 On 22 March the Commissioner for Humanitarian Aid and Crises Management, Christos Stylianides met more than 180 young people for a Citizens’ Dialogue on “Solidarity in a Europe that Protects: Strengthening Civil Protection through rescEU”. The dialogue took place in the Hall of Barons, in the Castel Nuovo, in the centre of Naples. The debate, moderated by Angelo Agrippa, journalist fromCorriere del Mezzogiorno, touched upon several issues related to migration, humanitarian and development aid, as well as civil protection. The dialogue was opened by the Mayor of Naples, Luigi De Magistris. In his opening speech, he underlined that “we need Europe but we need a different Europe: Europe which prioritises its people, human rights, social justice and solidarity”. He said that Naples is a European City at the heat of the Mediterranean with its heart towards Africa, which will never be racist. He added that the Mediterranean sea, which became a “red sea or the sea of blood” should become “blue” sea again, where people are eager to help their brothers and sisters in difficulty”. Before starting the dialogue with the public, the moderator asked the Commissioner to respond to the appeal of the Mayor of Naples and to tell what can Europe do to better manage migration not only by sending back the migrants but also by welcoming them and improving their reception conditions. The Commissioner responded that the EU is the biggest humanitarian donor in the world. This is a reason for European citizens to be proud – but it is not enough to solve the problem of migration. We also need to find solutions for migrants to stay in their home countries. The situation in Africa is a major global challenge and the EU should advocate for a global response to this problem. There is a need to address the root causes of migration: reduce conflict, fight climate change, combat corruption and tackle demographic explosion in Africa. He also added that we need solidarity at the European level. Migration is a European problem and Member States should take their responsibilities. 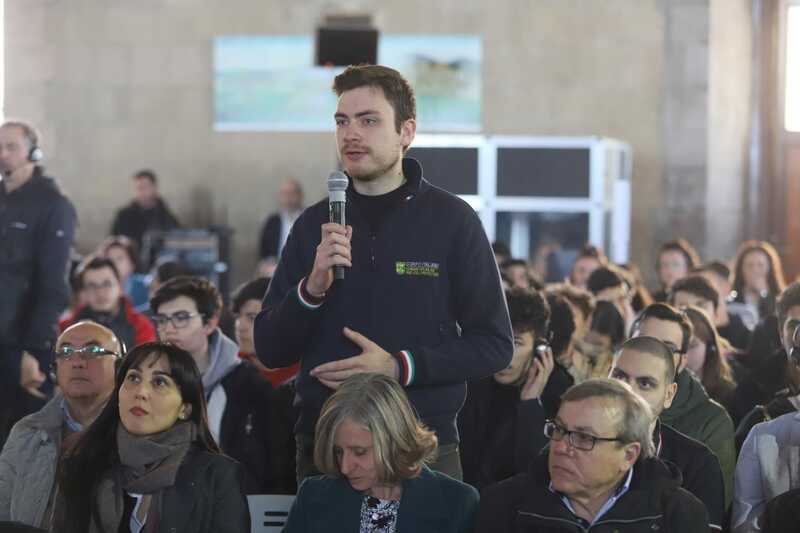 The participants then took the floor and asked questions regarding migration, civil protection and rescEU and better involvement of young people in the field of civil protection and more generally in the democratic process. Talking about civil protection, the Commissioner underlined that Italy has a lot of experience in this field as it is the only Member State which has faced all the natural disasters. He thanked Italian authorities for their contribution in establishing RescEU. He also expressed his wish for young people to be more involved in national disasters as volunteers.